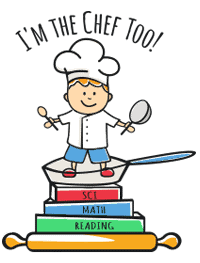 Lil Science Chef - I'm The Chef Too! Put on your lab coat and join us in the kitchen where you are the scientist and the kitchen is your laboratory! Children will apply physical science, chemistry, and biology scientific processes to cook up experiments and test their theories. They will discover the scientific answers to tasty mysteries and eat their results!